CARDS AGAINST HUMANITY LIVE at Greenhouse Theater Center. Photos by Stephen Voss. 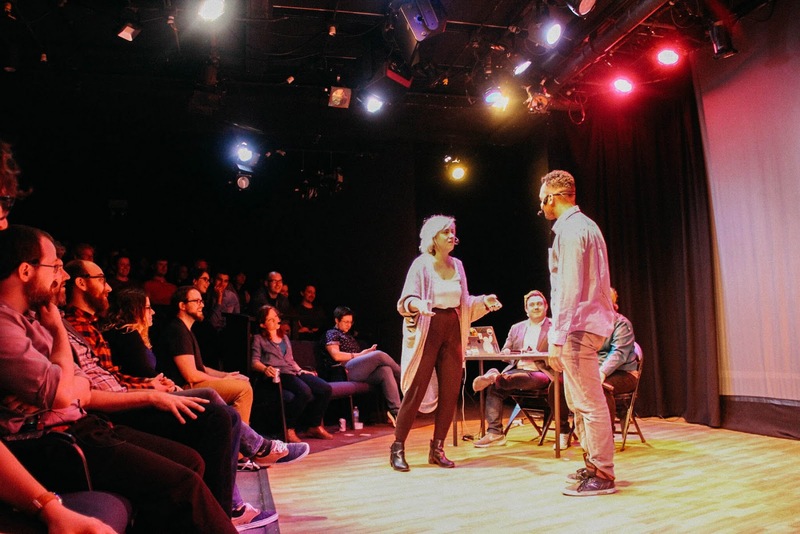 Following three sell-out performances this year, CARDS AGAINST HUMANITY LIVE returns once again for one night only on Friday, September 29, 2017 at 10 pm at The Greenhouse Theater Center (Downstairs Mainstage), 2257 N. Lincoln Ave. in Chicago. 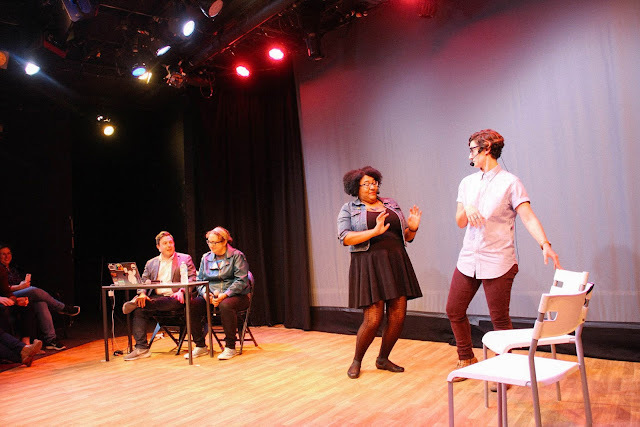 The irreverent night of improv comedy is inspired by the popular and politically incorrect party game “Cards Against Humanity.” After audience members pitch their ideas, the best suggestions are acted out by the Cards Against Humanity writers and a team of improvisers. The worst suggestions will be mercilessly ridiculed. Recommended for ages 18+. Tickets, priced at $10 are currently available at greenhousetheater.org, in person at the box office or by calling (773) 404-7336. All proceeds will benefit the anti-racist watchdog group Hope Not Hate. The group recently made national headlines after revealing one of its members went undercover in the alt-right movement for over a year. For additional information, visit hopenothate.com.